May this day herald the advent of an auspicious new year! Shellacking – An utter defeat or sound thrashing. 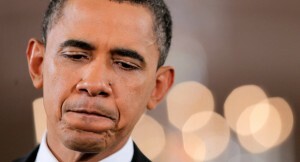 President Obama used this word to refer to Republicans’ victories in the midterm election. “Shellac” or “shellack” is also a somewhat obsolete form of varnish; the way in which a word for varnish came to be a verb meaning “to beat” is somewhat arcane, as explained in this BBC article. 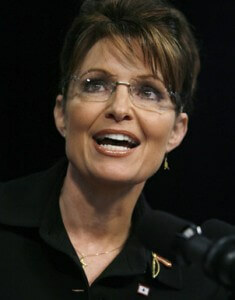 “Refudiate” – Coined by Sarah Palin in 2010, “refudiate” is NOT A WORD. However, this solecism (or, to be kind, neologism) seems to be a fusion of refute and repudiate, both important GRE words. What’s the difference? To refute is to prove an argument or opinion to be false. To repudiate is to reject, cast off, or disown. You refute an argument; you repudiate your family, country, or religion. I could repudiate my belief that the Earth is round, but I don’t think it would be possible for me to refute it. “Snowmageddon” and “Snowpocalypse” – These portmanteau words referring to record cold temperatures around the globe (as in, now) are playing off the words apocalypse and armageddon. Apocalypse is any universal or widespread disaster or destruction, or a prophesy of such a disaster. Armageddon is, if possible, even worse: the place where the final battle will be fought between the forces of good and evil, or a final and completely destructive battle. Many movies have a post-apocalyptic setting (recently: Blindness, The Book of Eli, I Am Legend), but a post-Armageddon setting would hardly be possible, as there would be no humans left to be characters in the movie. 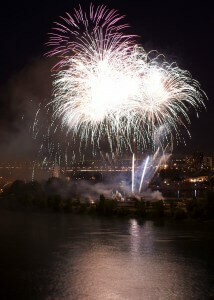 A felicitious Snowmageddon and a happy new year! The Word Beast is on Facebook! Friend us/him here! 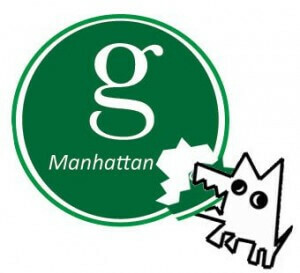 Also follow Word Beast and Manhattan GRE on Twitter. Scurvy was at one time common among sailors, pirates and others aboard ships at sea longer than perishable fruits and vegetables could be stored (subsisting instead only on cured and salted meats and dried grains) and by soldiers similarly separated from these foods for extended periods. It was described by Hippocrates (c. 460 BC“c. 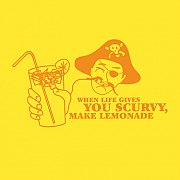 380 BC), and herbal cures for scurvy have been known in many native cultures since prehistory. Scurvy was one of the limiting factors of marine travel, often killing large numbers of the passengers and crew on long-distance voyages. This became a significant issue in Europe from the beginning of the modern era in the Age of Discovery in the 15th century, continuing to play a significant role through World War I in the 20th century. It was a pretty big deal when it was finally discovered that citrus fruit cured scurvy. The scurvy bully not only stole his lunch money, but also reversed all the positive and negative signs on his math homework. 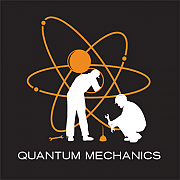 Quantum mechanics is a branch of physics (it does not involve manual labor — hence the joke), but quantum on its own means “a particular quantity or amount” or can be used as an adjective to mean “sudden and dramatic” (a quantum shift in thought). If you want to share your Skittles, a quantum is quite small (one Skittle), but if you want to share your Reese’s cups, a quantum is quite large (one of only two cups in the pack). 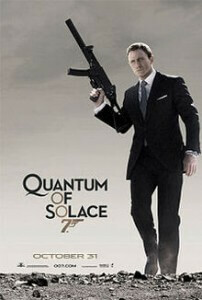 The word quantum also notably appears in the title of the show Quantum Leap (in which Scott Bakula’s character time-travels someplace new in every episode) and in the James Bond movie Quantum of Solace (we’re not sure why it’s called that — probably just because “Q” words sound cool). 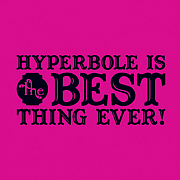 Hyperbole is obvious and intentional exaggeration. Haha, “best thing ever”! 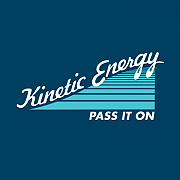 Kinetic means pertaining to or caused by motion. Relatedly, “motion scientists” (and highly educated gym teachers) are called kinesiologists. Binary means of or relating to the number two. 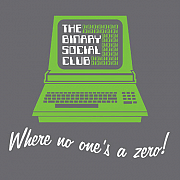 Sometimes people say binary to refer to a system of “ones and zeros” in computer programming. Colloquially, people use binary to refer to a system with only two options. Activists fighting for the rights of transgendered (or non-gender-conforming) people sometimes speak out against a “gender binary.” By this, they mean that it ought to be okay to exist at various places in the middle of a spectrum of male and female, or to exist entirely outside of that system of gender encoding. These shirts and other risible sartorial items are available here. The Mental Floss store (last-minute holiday shopping, anyone?) sells a number of hilarious t-shirts that cleverly take advantage of GRE-style vocabulary. Haha. Apathy means not caring. 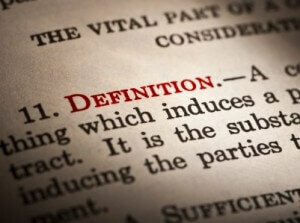 (A synonym is indifference). 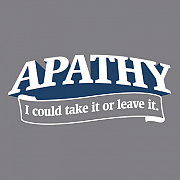 Don’t confuse apathy with antipathy, which is hatred. 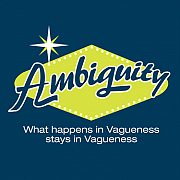 Ambiguity, of course, is unclearness. Don’t confuse with ambivalence, the state of having mixed feelings or being undecided. Generally, stuff is ambiguous, people are ambivalent. 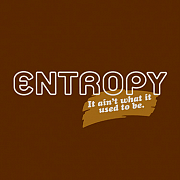 Entropy is the eventual heat death of the universe. We use it metaphorically to refer to the idea that all things kind of naturally fall apart if given enough time. Bristol Palin is, of course, the daughter of former Alaska governor Sarah Palin, as well as a recent contestant on Dancing with the Stars and an abstinence advocate who is also mother to a almost-two-year-old. It is for this last apparent paradox that MSNBC commentator Keith Olbermann named Bristol Worst Person in the World (well, at least the Worst Person in the World for November 29th). That’s a pretty good use of several GRE-worthy words (as well as alliteration)! Incredulity is an unwillingness to believe. It’s the state we’re in when we say, sincerely, “I just can’t believe it!” You could go so far as to call it the “OMG!” emotion. Insincere certainly has a negative connotation, though, so perhaps an even more appropriate use of the phrase would be something like a situation in which you tell your “friend” that you just found out that your boyfriend’s been cheating on you and she feigns total shock and indignation, but — OMG! — the woman he’s been cheating on you with is her! Your erstwhile friend’s shock would certainly count as insincere incredulity. Copious abatements! A panoply of discounts! (See A Plethora of Words for a Plethora for more words that mean “a lot”). 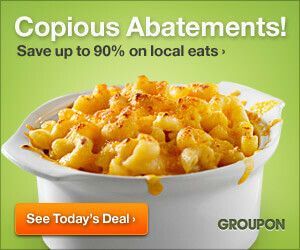 I am now far more inclined to use the services of Groupon, now that they have become japingly bombastic. To don is to put on or dress in. You don your clothes every morning. (Well, I don’t know you personally, but unless you live in a nudist colony, I’m pretty sure you don clothes diurnally).